Vancouver photographer Belle Ancell had a vision of handsome queer women in moustaches. For Movember, she made it happen. On a fall day as the rain poured outside, and Madonna reverberated on the stereo inside, six queer women sat for their close-up. 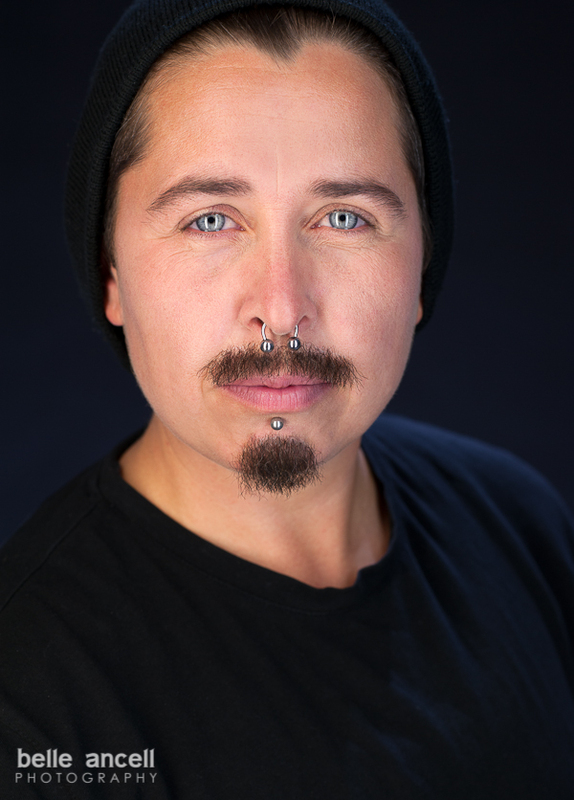 The camera clicked and the first queer Movember Project in Canada, "Mr/s. Movember", was born. 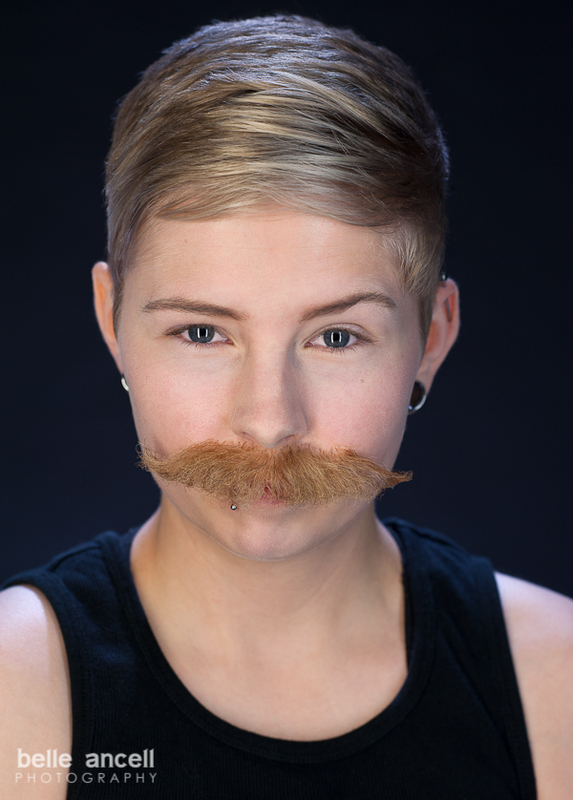 The Movember art campaign is a series of six queer female models ranging in age from early twenties to late forties, photographed in portrait, and in a moustache. Movember is a global campaign to raise funds and awareness about men's health - specifically prostate cancer. This year, the organization has added mental health to the campaign. Belle Ancell is a celebrated child of the 70's and loves moustaches. She heard about the Movember campaign when she relocated to Vancouver two years ago. "I thought it was a fabulous way to create dialogue about prostate cancer and to support men's health. I kind of wished I could participate and grow a moustache myself. And that is how the idea for Mr/s. Movember came about," Ancell explains. She thought it would be fun to get a group of handsome queer women together to rock their own moustaches. The photos in "Mr/s. 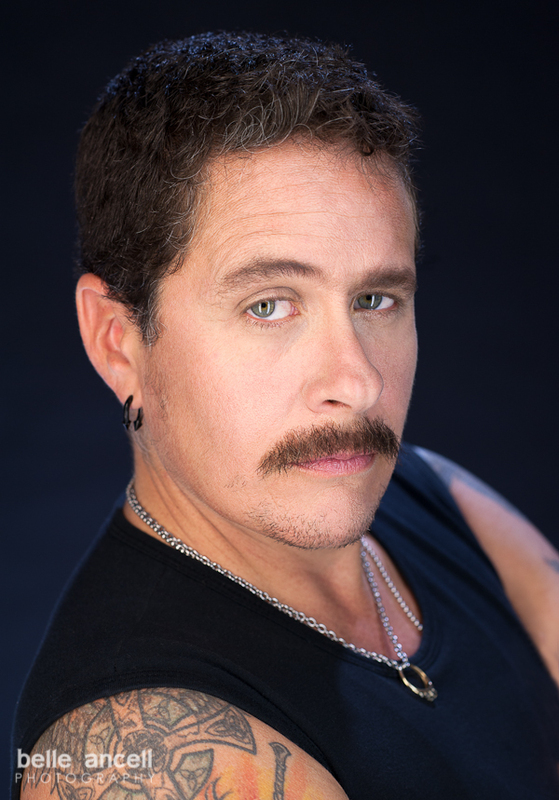 Movember" are about identify, playing with identity, and raising awareness by prompting private and public conversations in the GLBTQ community about health. Some of the models in the project identify as lesbian, butch, male, female and all of the above. Yet all queer women have men in their lives - whether they are partners, brothers, fathers, uncles, nephews, or sons who are dealing with prostate cancer and mental health issues. "One of the great things about Movember is that having a moustache starts conversation and gets Canadians talking about their health", said Peter Bombaci, National Director, Movember Canada. "It's the power of the moustache that has raised awareness and reduced stigma surrounding prostate cancer and it's exciting to have the opportunity to do the same for mental health." "I am very happy to see this year's Movember campaign focusing on the LGBTQ community more and for including anti-bullying and mental health in its funding for this year", says Ancell. She says this is just the beginning for the Mr/s. Movember photo project. Over the next year she will be photographing more women and having a fundraising gallery opening of all the images in support of the 2013 Movember campaign. Mr/s. Models are: Chris, Rina, Kaylee, Robin, SD and Palmer. Isabelle Champigny (Visual Effects Makeup Artist), and Katrina Gurr and Kelsey-Ann Derksen-Hatt (Assistants). Gratitude extended to Aileen Penner for the above article on the Mr/s. Movember Project. Visit Aileen's BLOG to read the more in depth article on the Mr/s. Project and the Movember Campaign. PLEASE DONATE TO THE Movember Campaign AND/OR SUPPORT A GROWING MO.